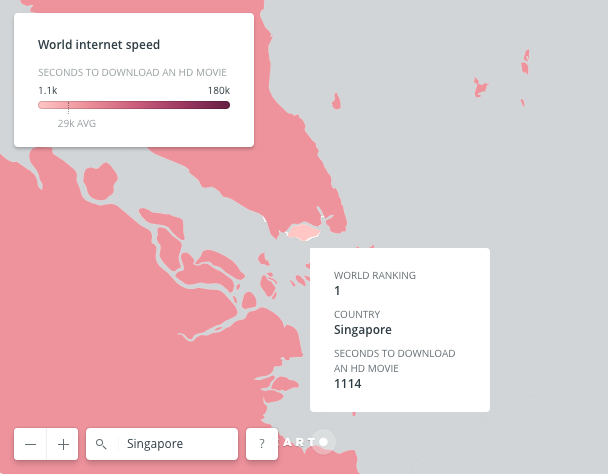 Meanwhile, Singapore leads the world in broadband speeds. Cable.co.uk, which produced the report titled New Worldwide Broadband Speed League, ranked 189 countries and took more than 63 million broadband speed tests. 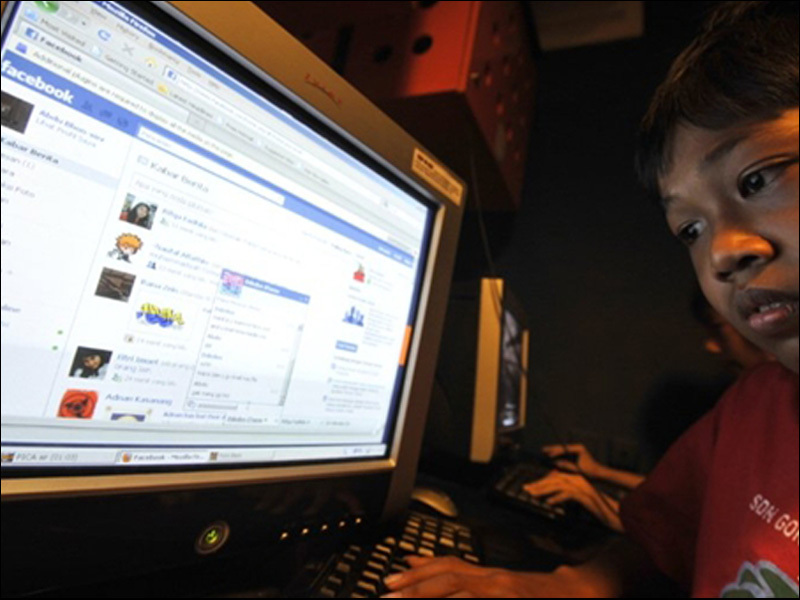 It revealed that Malaysia's broadband speeds are behind 62 other countries. 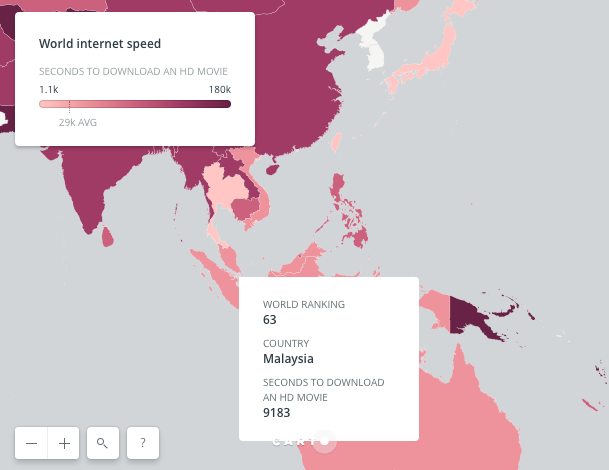 According to the study, the data for which was collected across the 12 months up to 10 May this year, after a total number of 68,196 tests in the country, Malaysia's Mean Download Speed was 6.69Mbps, which is much lower than the average speed (10Mbps) deemed by telecoms watchdog Ofcom to be the minimum required to cope with the needs of a typical family or small business. Globally, of the 189 countries ranked, 139 countries have failed to achieve the average speeds above 10Mbps—deemed to be the minimum speed required by consumers “to fully participate in a digital society” by UK’s telecoms regular, Ofcom. Notice that the United States doesn't make the cut among the top 20 countries. It was ranked 21 ahead of Canada at 26 and United Kingdom, which was ranked 31. You can access the full league table here, via Google Docs. 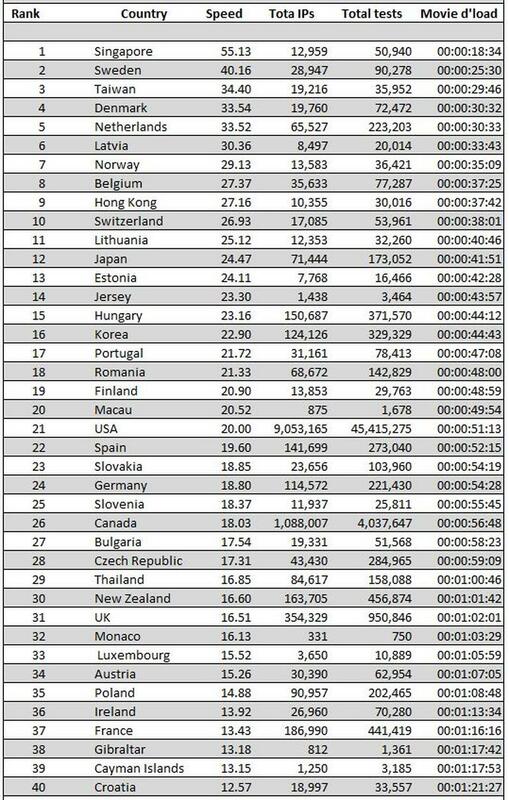 On the other hand, this is not the only study where Malaysia ranked poorly. In 2015, content delivery network services firm Akamai Technologies Inc in its report back then had listed Malaysia at 70, ranking it behind Sri Lanka and Thailand in average Internet speeds. What do you think about the study and the rankings it has given to the countries? Do comment below to share your thoughts with us. Boat rides along this historic city's meandering waterway are quite. popular. Petronas is ranked at 128th place globally, above Sony and Adidas. Kuala Lumpur was ranked no.1 in the list of 30 international cities.